WATT, written in 2000 for the yesaroun’ Duo, is scored for baritone saxophone, non-pitched percussion and boombox and takes its title from the work by Samuel Beckett of the same name. This piece takes as a point of departure, John Coltrane’s late avant-garde albums like Insterstellar Space (1967). 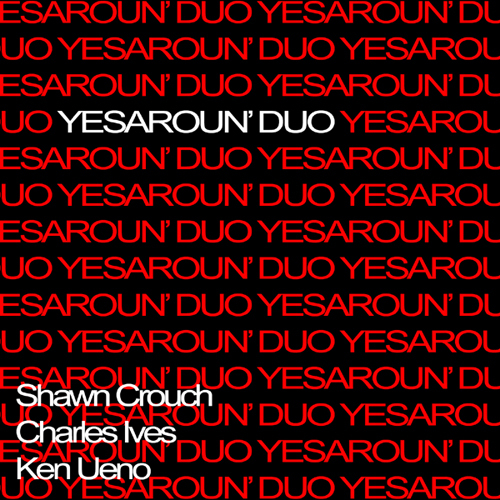 This album features only two performers, Coltrane and drummer Rashied Ali, the same instrumentation as the yesaroun’ Duo. The bulk of the piece is a long development, beginning with sparse hits poking out of the silence, and gradually growing into a funky frenzy of sound. The surrounding music juxtaposes long periods of intense fury and long periods of near motionlessness. These two opposite sound worlds grow from or interrupt each other. At the close of the piece, the long development section is recapitulated, this time played on a boombox and manipulated electronically – the first 1’45” of the opening of the piece is collapsed to sound in 20″. The convergence point of the seemingly familiar – the groove, the beat, turned around and on top of itself, put together by being taken apart- what is also WATT – taken apart, and put together – turned around, under itself – the beat, the groove – the seemingly unfamiliar convergence point of things already known. Produced by the Yesaroun’ Duo, with assistance from Daniel Bauch, Jonathan Bisesi, Charles Peltz, Shawn Crouch, and Ken Ueno.